Our goal is simple: Help Home Buyers. Home is where we feel secure. You may live in a Townhouse, a condo, or a house; your residence is your home, and you should feel comfortable and content wherever your home is. Our goal is to improve the quality of life. A home should not only function well, it should improve people’s lives and fill them with pride and joy. We turn dated houses into modern homes. When it comes to real estate agents in Denver, you have hundreds, maybe even thousands, of options. But we’re not just a real estate agent. We are realtors who specialize in helping homeowners buy “fixer uppers.” But we don’t stop there, because too many fixer uppers are bought and then forgotten, or quickly sold again when the buyer realizes the true cost of renovating it. Thankfully, there’s a solution. 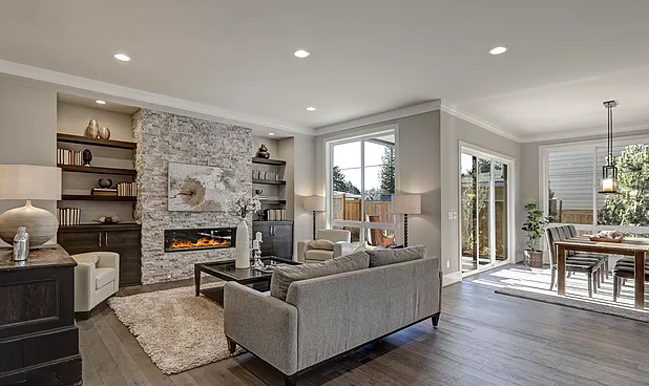 More and more home buyers are discovering FHA 203(K) Loans — a Federal Housing Administration loan that provides you with $30,000-$100,000 upfront to renovate, repair, and upgrade elements of your home to make it a place you love. By consolidating your renovation and home loan into one, you can get all of your renovations out of the way in just a couple of months, rather than having to save up over years and years to fix one thing at a time. This immediately increases the value of your home without costing you anything out of pocket. Just like not many home buyers are familiar with this type of loan, not many real estate agencies are either. That’s why we’ve made it our specialty and have collected a team of experts to help with finding that perfect home with good bones as well as turning it into a dream home. Our realtors, designers, and contractors work with you every step of the way to ensure your vision is carried out to the fullest.